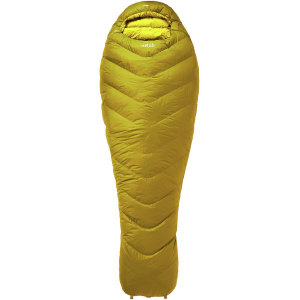 This is the mother of all high quality goose down sleeping bags. It is overbuilt in every regard. This bag will go to most any place on the planet and with a proper ground pad, will keep you warm and dry. 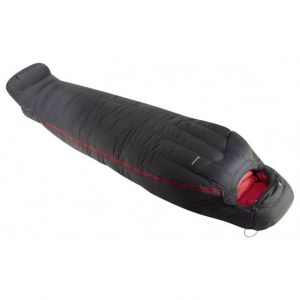 It is light weight for the warmth provided and this bag is pretty packable but it will take a couple of minutes to completely get it into a compression bag for hiking or climbing. This bag will be the last bag that 99% of all outdoor enthusiasts will ever need to buy to cover their 4-season adventures. Weight regular length 4 lb., 2 oz. or long weight is 4 lb., 6 oz. 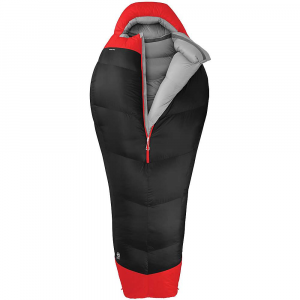 Th Feathered Friends Snow Goose down bag is rated to -40° Fahrenheit and with a proper ground pad lives up to its warmth rating. I am 6 foot, 1 inch tall and weigh 235 pounds yet the long sized bag at 6' 6" left room for my clothes to be stuffed and kept warm at the bottom the bag. The foot box is generously sized. Because I am broad shouldered the 39" girth at the shoulder is snug but not unreasonable. The bag's dimensions are 64" / 60" / 39". The 3D hood is thick and well shaped and is designed to prevent condensation from entering the bag and wraps your head in several inches of 850+ fill goose down. The taffeta lining is soft and makes it easy to slide into and out of the bag. The YKK zippers are over built and are big and strong and the double tape around the zipper helps to prevent you from snagging any material when zipping and unzipping the bag. The bag comes with Pertex Shield EX water-resistant/breathable laminate shell with DWR but you can special order any of Feathered Friends bags for several outer material choices including some of the Gore materials. Also it is rarely mentioned but Feathered Friends will also make a bag to a custom size for you for a slight additional fee about $39 Usd. The bag packs down well but stuffing this bag is a chore. You will need to start at the foot box and lay down on it, flatten it and work your way up stuffing as you go. Then grab a beer and rest from trying to squeeze this super loft bag into such a small shape. Packed size is 9" x 21" yet the bag starts out at 64" / 60" / 39" with about 7 inches of loft. So yes, stuffing the bag is work but it will stuff down to a small size. *** Note never keep this or any down bag stored in a stuff or compression sack. Only store in an over sized cotton storage bag. With a few shakes, the bag lofts back quickly after unstuffing. Everything about this bag works well. My 12-year-old daughter does not like to be cold when winter camping and she fights to make sure that she gets this bag over other models of Feathered Friends, Western Mountaineering, and North Face bags that we own. 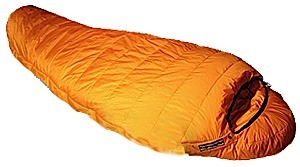 It is a little painful spending this much money for a sleeping bag that gets used 30 days per year, but once you see the quality of the construction and experience its warmth you will smile knowing that you will hand it down to your children and you will forget about the cost every night you get a full night's rest. 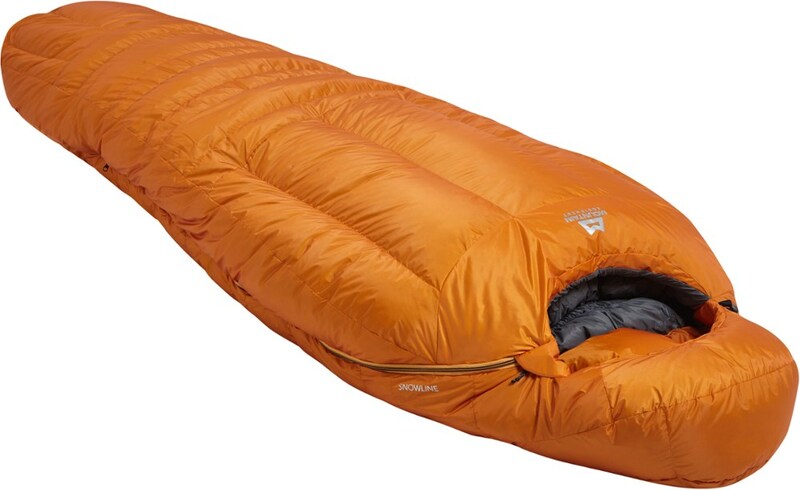 I have used this bag unzipped and draped over me in the heat of summer camping where the days are 100 plus degrees Fahrenheit and I have used this bag in the dead of winter in negative temperatures at 9,200 foot elevation in the High Sierras. Over the past 6 years or so the bag has lost about 1 3/4 inches of loft. The exterior and interior are wearing like titanium and are still very much like new.The zippers are perfect and work all the time without snagging. This bag does not leak its fluffy down. The stitching is meticulous and after 6 years is completely intact. We got caught in an unexpected snowstorm and had to sleep outside while it snowed all night. I was awoken by my friends to say they were freezing and we needed to immediately leave. When I unzipped this down bag they felt the warmth coming out from inside the bag and were shocked that I was completely warm and had slept perfectly while the shivered and froze all night. Upon getting home they immediately ordered Feathered Friends Snow Goose bags; that pretty much says it all about this bag. Like Dad used to tell us, "Buy right or Buy twice". Like Weatern Mountaineering, FF makes great down bags. Why is this bag so moisture resistant? GTX? eVent? The Feathered Friends Snow Goose is not available from the stores we monitor.